Our Richmond garden care company offer the complete range of services, from lawn mowing, weeding, hedge cutting, pressure washing, soil conditioning, lawn feeding, lawn scarification, one off gardening service and we can offer you the same Richmond gardener each visit. 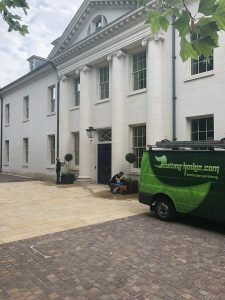 Services we offer in Richmond are Landscape gardening including Garden Design, Paving, Fencing, Turfing, Artificial grass, Decking and Garden maintenance. Richmond gardening service and garden maintenance along with competitive garden care solution at an affordable price. 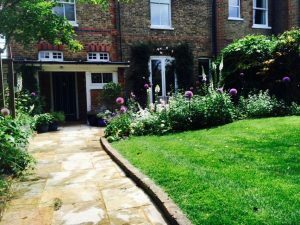 Richmond garden service we can offer include – Garden maintenance, garden clearance, grounds maintenance, lawn care, lawn fertilising, Lawn mowing, Pressure washing, Paving Sandblasting, Planting, Weeding , Hedge cutting, Tree and Hedge trimming, garden landscaping after care service in Richmond, and regular garden maintenance for domestic and commercial gardens in London borough of Richmond upon Thames along with additional areas as Barnes, East Sheen, Fluwell, Hampton, Kew, Mortlake, Petersham, St Margarets, Strawberry Hill, Teddington, Twickenham and Whitton. cutting-hedge.com encourages an interactive approach where you the customer can get involved; Cutting-Hedge.com has an extensive online gallery of plants, gardens and the like. Contact Richmond gardening services on 0208 567 5021 for a friendly, reliable and professional garden service by a local south west London gardening company. We used a gardening service we found online and had to call another it was so bad. Cutting hedge came in and WOW thanks guys great work. 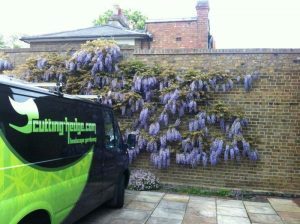 We use Cutting Hedge for our garden in Barnes on a regular basis they offer a great and friendly gardening service.